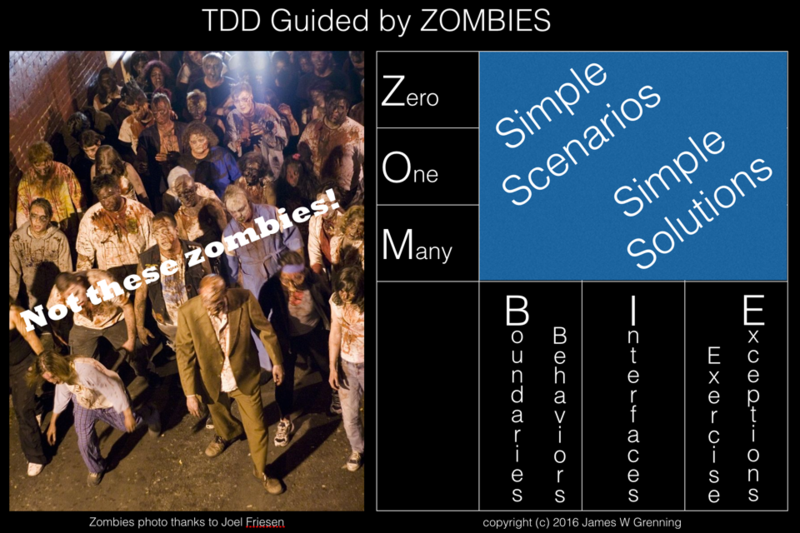 When I first used TDD I read James Grenning’s book Test Driven Development for Embedded C. In this book James proposed following a pattern for developing tests to test for zero, then one and then many (ZOM). Recently he has developed this idea further into ZOMBIE testing. Posted in Software Development, Uncategorised and tagged TDD.